Did you know that most instances of child sexual abuse are committed by a relative or someone else the child knows intimately? Unfortunately, children are also targeted by predators within youth-serving organizations designed to protect and provide activities for them. If you believe a child has been abused or is at risk for abuse in Oklahoma, you are required by law to make a report. If you suspect a child has been abused or is in danger of being abused in Oklahoma, you are required by law to file a report. Contact the Oklahoma Child Abuse Hotline at 800-522-3511; if you believe a child is in immediate danger, call local law enforcement or dial 911. The compassionate Oklahoma lawyers at Carr & Carr Attorneys at Law understand the devastating impacts of sexual abuse, and we are dedicated to helping abuse victims and their families recover the financial security they need to move forward with their lives. To learn how we may be able to help you pursue compensation through a civil justice claim, please call us at 888-238-4282 or contact us online to arrange your free, confidential consultation. Our attorneys represent clients throughout Oklahoma via offices in Oklahoma City and Tulsa. Among reported instances of child sexual abuse, abuse in youth-serving organizations is relatively rare. 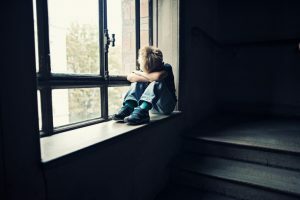 According to the National Center for Victims of Crime, about 90 percent of reported child sexual abuse is perpetrated by a family member or someone whom the victim and his or her family know well. But many instances of abuse go unreported because children are often unable or unwilling to communicate sexual abuse. And when abuse occurs in youth-serving organizations, there is often more than one victim. This is why it’s important for parents and guardians to be vigilant of sexual abuse indicators. 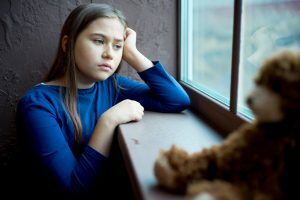 Social isolation is one common sign of child sexual abuse. 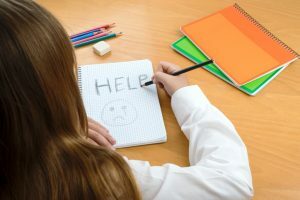 Children may also exhibit physical indicators, such as unexplained bruising or bleeding around the genital area, or reports of recurring pain while going to the bathroom. The effects of child sexual abuse can last a lifetime. While the criminal justice system allows for the punishment of sexual abuse perpetrators, the civil justice system provides a way for victims to seek financial compensation to help cope with medical expenses, mental health care and other damages. The civil justice system allows sexual abuse victims to seek financial compensation for medical costs, mental health treatment, and other damages. A civil action, however, can be pursued against the offender as well as any other parties who may have been negligent in allowing the sexual abuse to occur. This is because the standard of liability differs in criminal and civil cases. Unlike a criminal case, a civil lawsuit does not have to prove guilt beyond a reasonable doubt. Instead, the plaintiff must establish that it is more likely than not that the accused committed the act in question and is liable for damages. The Oklahoma attorneys at Carr & Carr understand the unique challenges faced by sexual abuse victims, and we fight hard for the financial peace of mind victims and their families need for their recovery journey. If you have reason to believe your child is a victim of sexual abuse, please call us today at 888-238-4282 or contact us online. Your confidential consultation is free, and our lawyers don’t charge unless we successfully resolve your case. Carr & Carr welcomes clients from the greater Tulsa and Oklahoma City areas, and throughout Oklahoma.